Why visit Moremi Game Reserve? 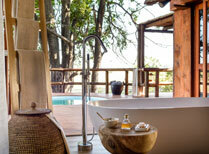 Moremi Game Reserve is a beautiful and diverse park in the heart of the Okavango Delta. It is known for excellent game viewing by vehicle and on foot. Chief’s Island is the very best of this reserve offering some of Africa’s best wildlife viewing, including the big five, accessible if you stay at one of the exclusive lodges. 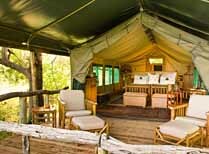 Mobile camping safaris can camp in the wild here. Rhinos can be seen, especially on Chief’s Island. Excellent predator sightings, including lions, leopards and wild dogs. Game drives, bush walks, bird-watching, fishing boat safaris and mokoro rides available, depending on the lodge. The best time to come here is the dry season from May to October, though there is always resident game here so even in the wet season it can offer some excellent game viewing. 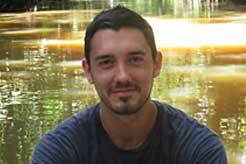 A Moremi Safari: How to do it. Visit Moremi as part of your general Botswana safari. It’s good to combine this with another, different area of the Delta to get a good range of activities and wildlife. Most people come as part of a fly-in lodge safari, though there are also mobile camping safaris which come here too, and camp in special wild camping sites. 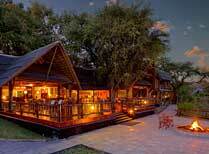 There are only about 7 lodges in Moremi, including Chief’s Island. 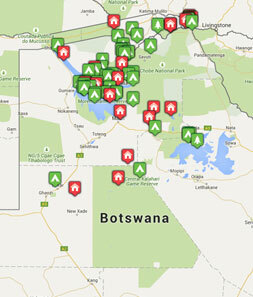 One of the most expensive camps in Botswana (actually in Africa) is here ”“ Mombo Camp. However if you fancy camping, a mobile camping safari is the cheapest way to enjoy the reserve, so you don’t have to be a millionaire to come here. 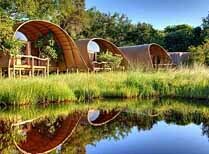 Chiefs Camp is a luxury tented camp situated on Chiefs Island in the Moremi Wildlife Reserve. 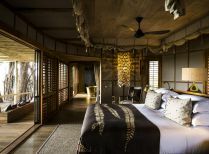 Mombo Camp has luxurious accommodation and great game viewing opportunties. 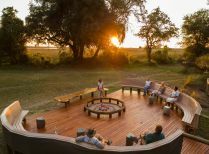 A uniquely designed safari camp on the edge of the Moremi Game Reserve with excellent personal service in the Xakanaxa area. 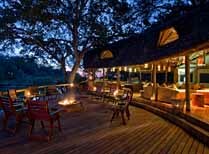 With its strking curvaceous, pangolin-inspired design, low-key luxury and high calibre game viewing, Sandibe Okavango Delta Safari Lodge is a very special place, and one that'll you long remember. 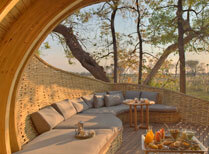 Luxury tented camp set on a large island within the Moremi Game Reserve. Mokoro trails are popular here.